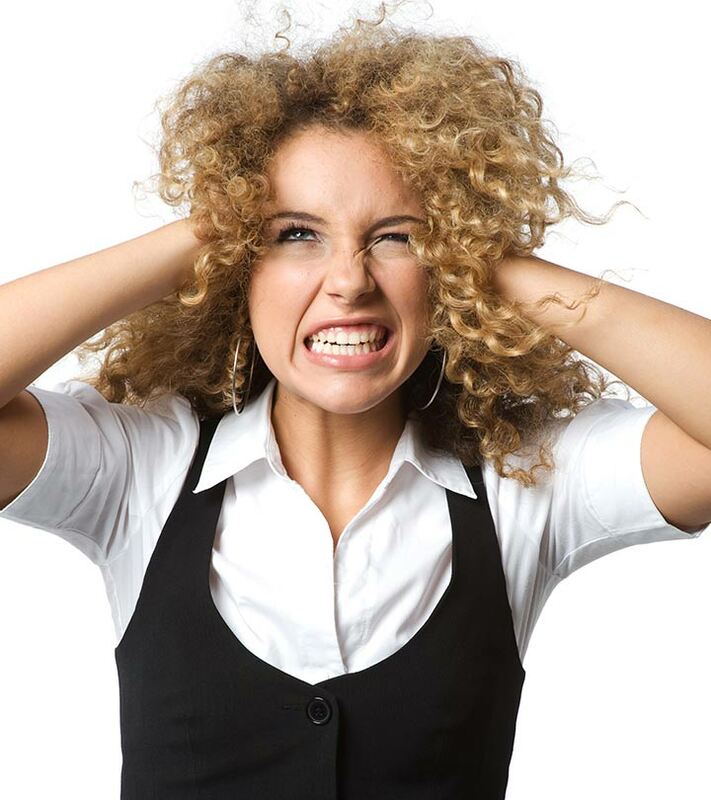 If the word ‘humidity’ gets on your nerves, you probably have frizzy hair. Don’t let the bad weather get you down. Instead, get your hands on the right hair care products that can help you manage your hair like a pro. Here, we have compiled a list of top-rated shampoos for frizzy hair. Take a look. Do you dream of having long, straight, silky, and frizz-free hair? Here’s the best shampoo for frizzy hair that can help you achieve it. 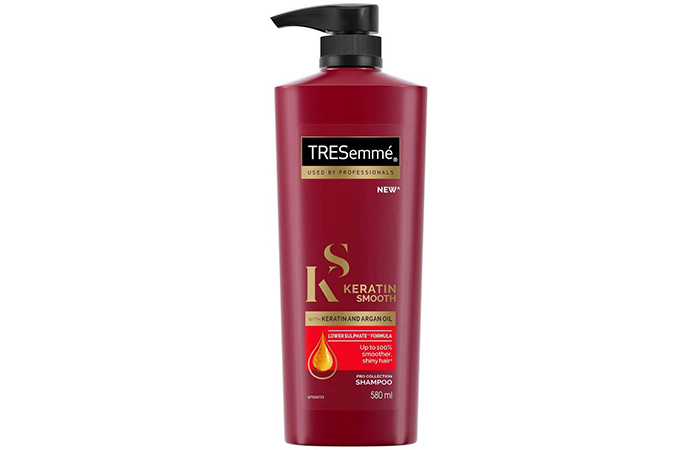 Tresemme Keratin Smooth Shampoo is specially formulated for those who have dry and unruly hair. It claims to tame flyaways and settle unmanageable tresses. It not only soothes dry strands but also imparts a glossy texture to your hair. This argan oil-infused shampoo is packed with nourishing effects that make your hair straighter and smoother. It controls frizz for up to 3 days. Want to flaunt thick and long hair? Get your hands on this volumizing shampoo that claims to give you thicker and stronger hair in just 14 days. It prevents the 10 visible signs of hair damage with its intense moisturizing action. It contains keratin damage blockers that provide 99% protection against roughness, split ends, and breakage, giving you softer, shinier, and healthier hair in just a few days. 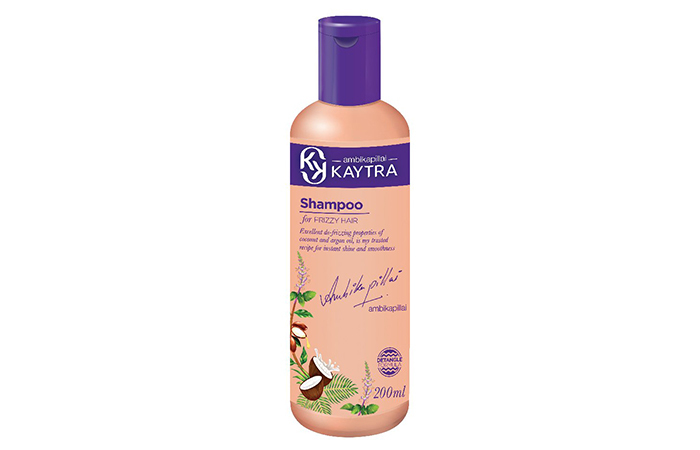 This nourishing shampoo is blended with virgin olive oil that repairs your hair from within. Its formula provides nourishment to dull and rough hair and helps fight the visible signs of hair damage. It contains vitamin E that nourishes dry and depleted hair. It also contains olive oil extracts from Mediterranean olives that are packed with antioxidants that help make your hair soft and shiny. 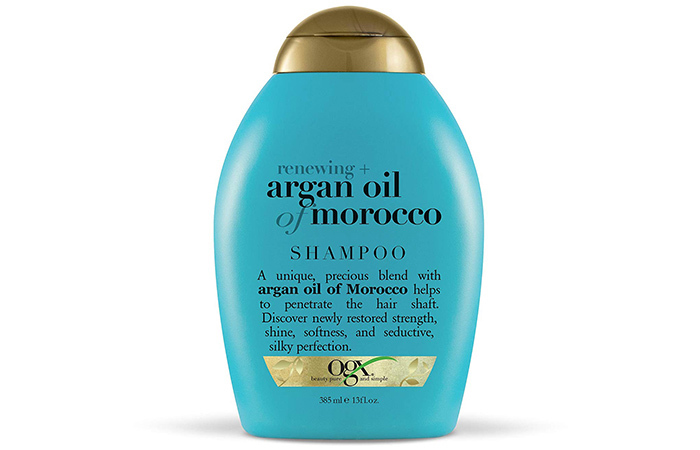 It claims to add extra softness and luminous shine from the very first wash.
OGX Argan Oil Shampoo is the perfect indulgence for soft and silky hair. It is a blend of Moroccan argan oil that penetrates, moisturizes, and rejuvenates each hair strand. It also imparts strength to the roots and promotes healthy hair growth. This nourishing shampoo protects your hair from heat styling and UV damage. It provides natural vitamin E and antioxidants that renew each hair cell. It imparts shine and luscious softness to your tresses. This shampoo is one of the best products for dry frizzy hair. It is formulated with keratin actives that repair the signs of damage, making your hair stronger and preventing dryness and breakage. It nourishes each hair strand for beautiful and visibly healthier results with every wash. It renews the hair’s internal structure and makes it feel smoother. It helps in detangling your hair and improving its manageability. 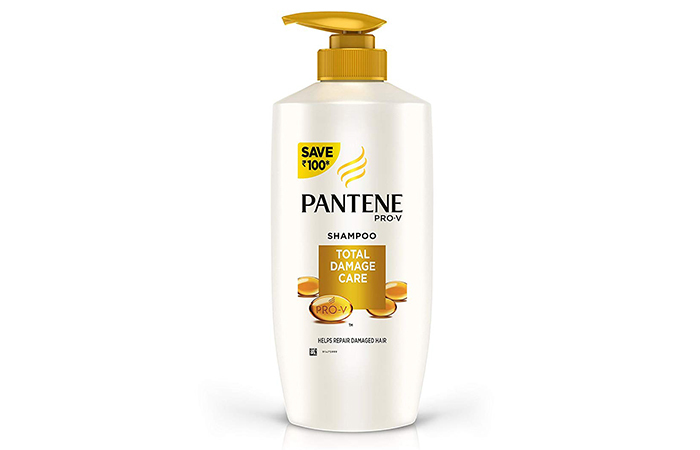 This intense repair shampoo is ideal for daily use. 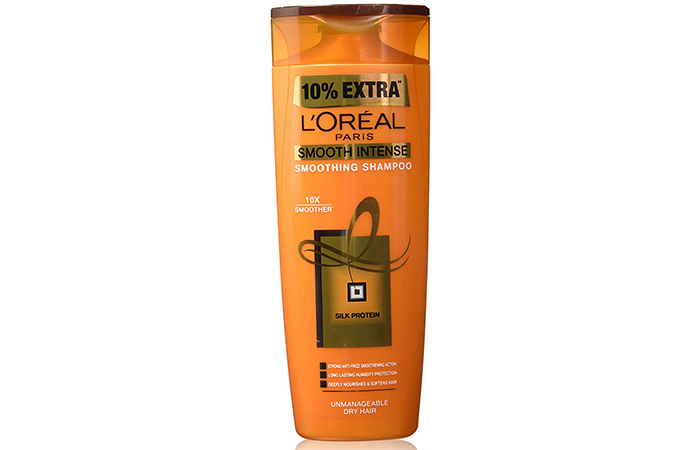 L’Oreal Paris Smooth Intense Smoothing Shampoo leaves your hair soft and shiny from root to tip, making it smooth and manageable. It contains argan oil and silk protein, which are rich in essential fatty nutrients. They impart proteins to depleted hair and repair each hair strand from within. The creamy formula nourishes and replenishes your hair, making it stronger and healthier with every wash. 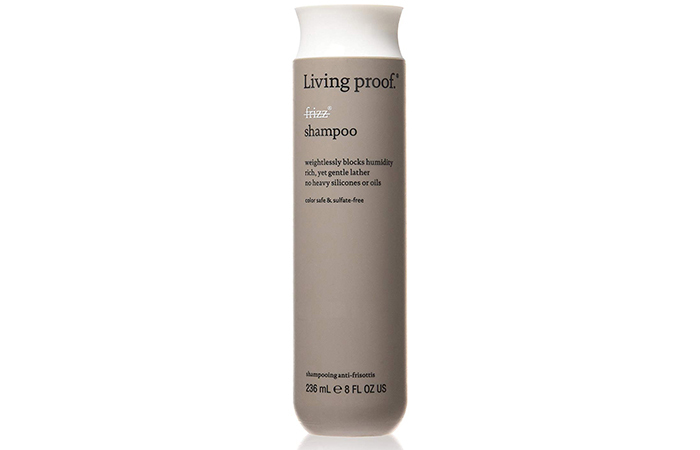 It shields your hair from the effect of humidity and claims to give 48 hours protection. The texture and the shine of your hair are renewed single wash.
Matrix Biolage Ultra Hydrasource Shampoo moisturizes and conditions your hair to prevent frizz, breakage, and flyaways. 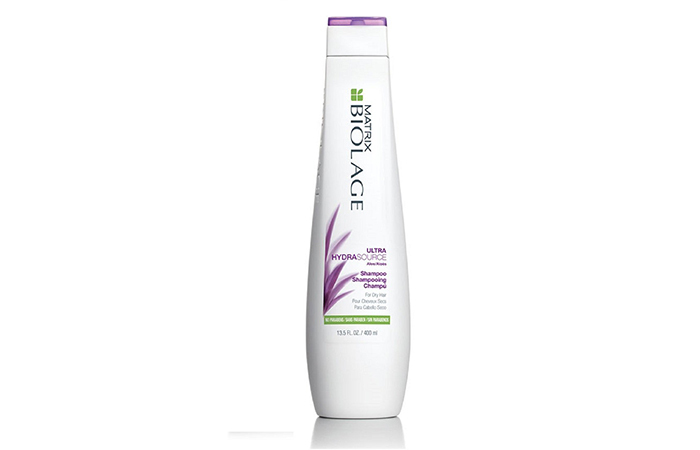 It contains aloe vera that helps optimize moisture balance for healthy-looking hair. 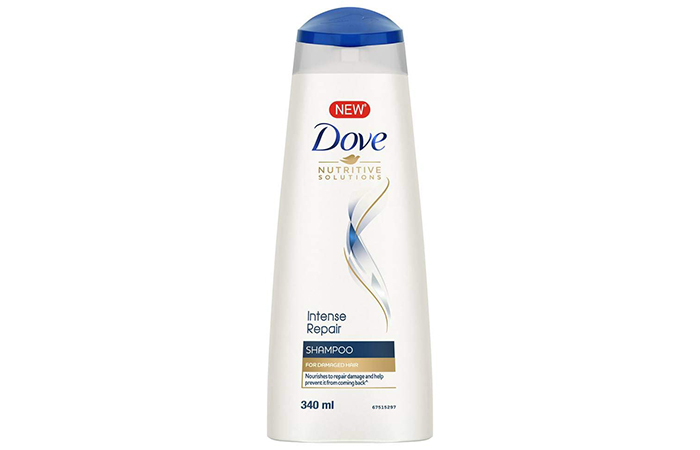 This intense moisturizing shampoo cleanses your hair gently, leaving it soft, silky, and shiny. It contains a blend of rare botanicals like cupuaçu butter and apricot kernel oil that help add volume and bounce. This paraben-free shampoo is suitable for chemically-treated and colored hair. 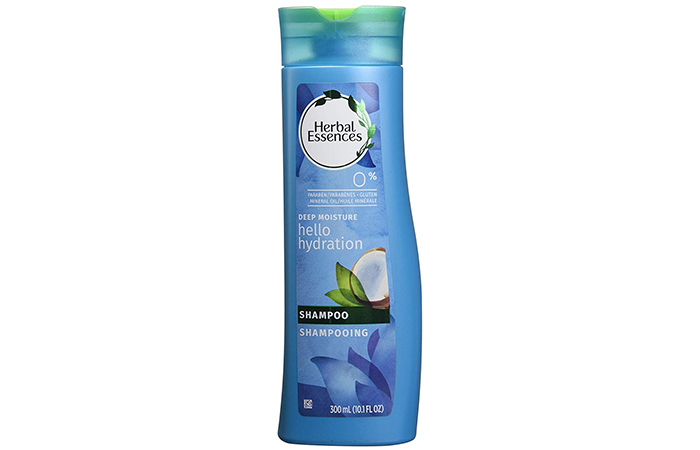 Herbal Essences Hello Hydration Shampoo contains coconut essences that will leave your hair feeling nourished and rejuvenated. This moisture-rich formula soothes dry hair and imparts strength to the roots. It smoothes your hair from root to tip and improves the texture of each hair strand. The creamy notes of coconut essences deliver deep hydration to the moisture-ridden hair cuticles. This shampoo leaves your hair feeling soft and silky. 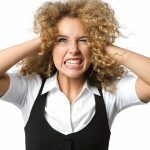 Troubled by frizzy and unmanageable hair? 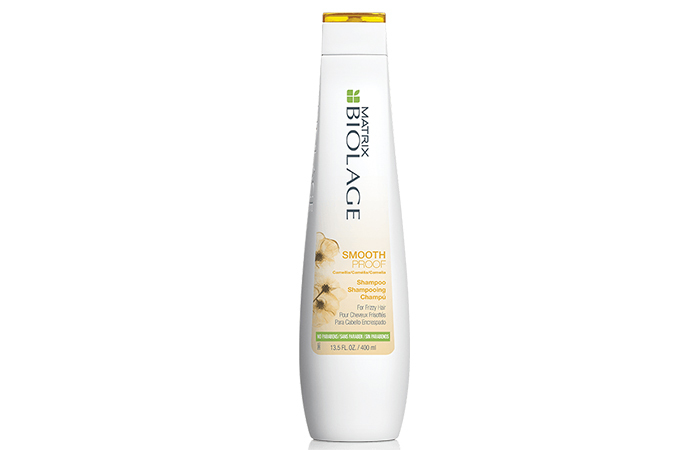 Turn to Matrix Biolage Smoothproof Shampoo to get silky, shiny, and healthy hair in a few weeks. This nature-inspired shampoo provides smoothness even in 97% humidity. It controls frizz and tames unruly hair. It polishes your hair and envelopes it in a protective shield against damage and breakage. This paraben-free shampoo is suitable for all hair types and works well even on color-treated hair. This lightweight frizz control shampoo is formulated with healthy hair molecule that protects your hair in three ways: blocks humidity, smoothes hair strands, and helps clear oil and dirt in your scalp. It nourishes and conditions your hair, making it soft, frizz-free, and shiny. It repairs damaged tresses and rebuilds strength at the roots. 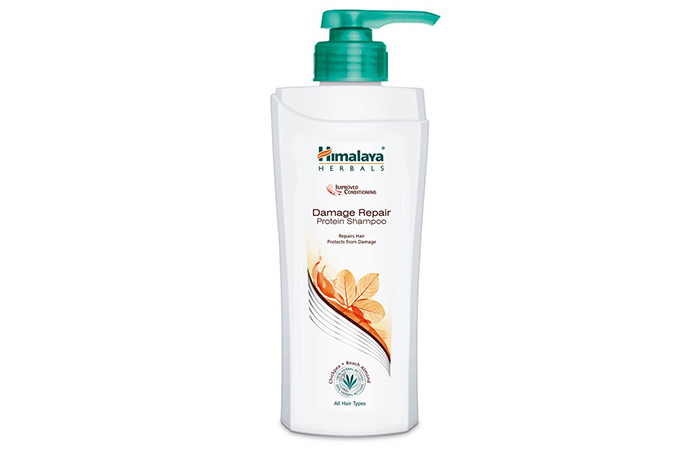 Himalaya’s Damage Repair Protein Shampoo is a rescuer for those who have dry, frizzy, and damaged hair. It contains a unique blend of herbs like chickpea and almond that provide nourishment and intense conditioning to each hair strand from root to tip. It repairs damaged tresses and strengthens the inner cuticle structure to promote healthy hair growth. The beach almond fruit extract possesses antimicrobial and antioxidant properties, thereby protecting your hair from future damage. 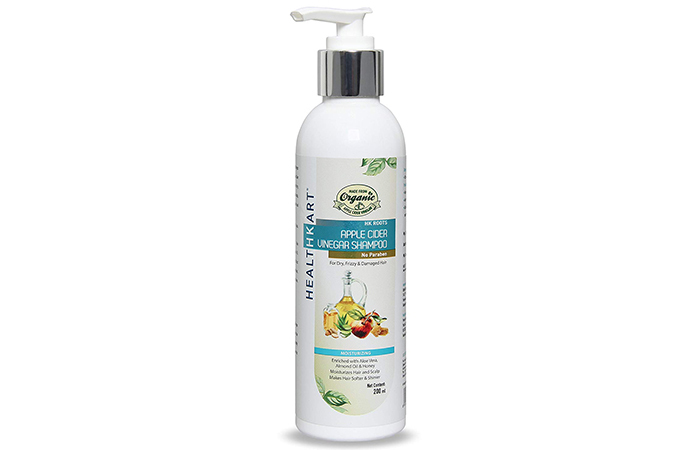 HK Moisturizing Apple Cider Vinegar Shampoo is made from 100% natural and organic ingredients. This cleansing and nourishing shampoo is a perfect product for most of your hair concerns, especially if you’re dealing with dry and frizzy hair. It cleanses your hair and scalp gently to remove dirt and grime. It smoothes hair cuticles to give you soft and frizz-free hair. It also stimulates blood circulation in your hair, which is essential for hair growth. Originally started by celebrity hairstylist, Ms. Ambika Pillai, Kaytra Haircare considers itself to be a manual for good hair and skin. This is one of the excellent shampoos for frizzy hair contains the goodness of coconut and argan oil that add instant shine and smoothness to dry and rough hair. It tames frizzy hair, strengthens the follicles, and detangles your tresses with its moisturizing and nourishing properties. It gently cleanses and conditions your hair while keeping the scalp moisturized. 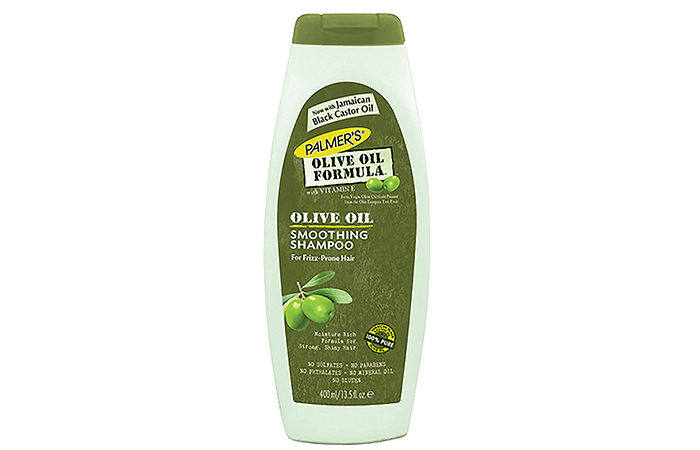 This olive oil-infused shampoo moisturizes and smoothes frizzy hair and promises to leave hair softer, smoother, and shinier. It imparts moisture and nutrients to your hair and removes product build-up. 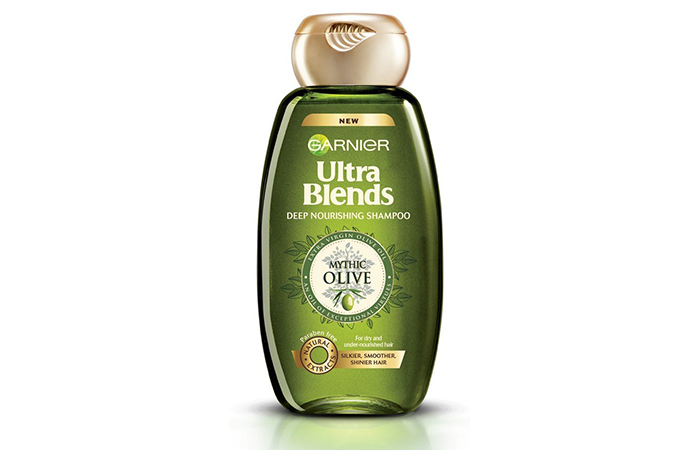 It contains extra virgin olive oil, keratin amino acids, and Vitamin E that protect your hair from damage and aid the hair’s natural ability to strengthen the follicles. It replenishes lost keratin in dry and depleted hair and promotes healthy hair growth. Using this shampoo more than twice a week can roughen your locks. Tame unruly hair with Godrej’s Quinoa Smooth Shampoo. It imparts proteins that strengthen and repair frizzy hair, leaving it smooth, silky, and lustrous. 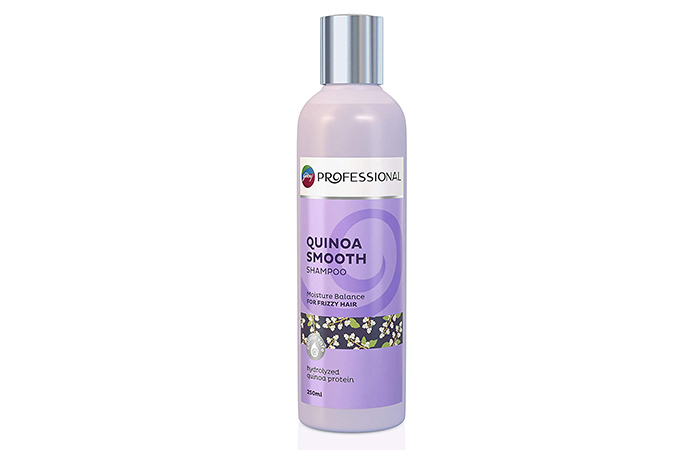 Quinoa is a premium quality grain that contains amino acids that smooth and restore the hair cuticles and help repair damaged strands. The hydrolyzed quinoa strengthens the roots and helps manage a perfect balance of proteins, vitamins, and moisture for your hair. Are you excited to use these shampoos for frizzy hair? Go on and pick your favorite shampoo and let us know how it went in the comments section below. Inner beauty is great, but fabulous hair never hurts! Right, ladies? In this harsh weather, one thing we all have trouble with is dry and rough hair.